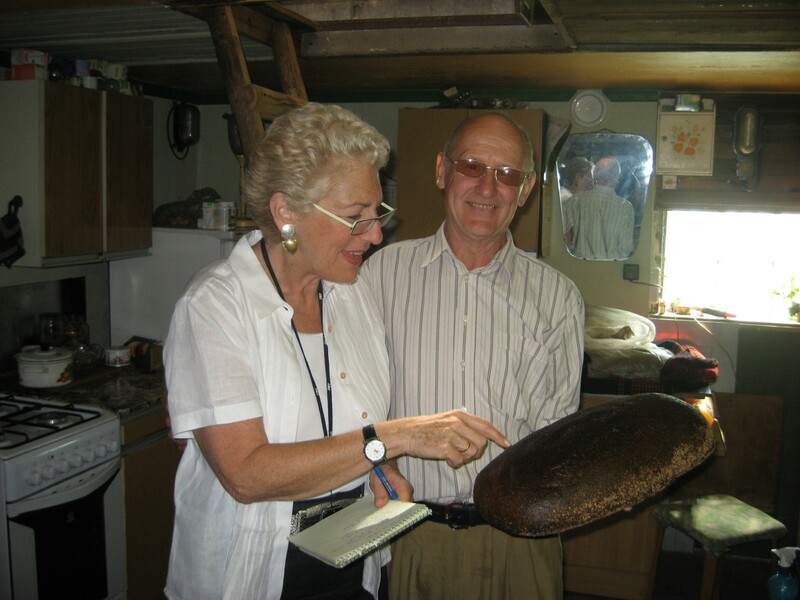 Michaele Weissman interviewing a Latvian rye bread baker, Aivars Grinbergs. Michaele Weissman is a much published free-lance journalist and the author of three books. She writes about food, families, small business and American culture. A skilled storyteller –New York Magazine called her book about specialty coffee “the best kind of food and travel writing”—she excels at finding the story hidden in a forest of facts. Her work has appeared in scores of online and print publications including The New York Times, The Washington Post, The Wall Street Journal, Forbes, Saveur and salon.com. Her coffee book “God In a Cup,” (Wiley, 2009) is a narrative that gives readers a bird’s eye view of the producer and consumer ends of the high end coffee business for which she traveled around the world with three young coffee buyers. Her other books include “A History of Women in America,” a narrative history of women written with Carol Hymowitz that has sold over 250,000 copies. With Dr. Deborah Prothrow-Stith, she co-wrote HarperCollin’s “Deadly Consequence,” an exploration of teenage violence. As a sideline, Weissman teaches writing and works with other writers helping them edit and prepare their manuscripts for publication. She has a long association with New Directions, the writing program for psychotherapists offered by the Washington Center for Psychoanalysis. As part of her work with New Directions she organized an April 2014 conference called “Love and Hate in the Kitchen” that explored the meaning of feeding people.